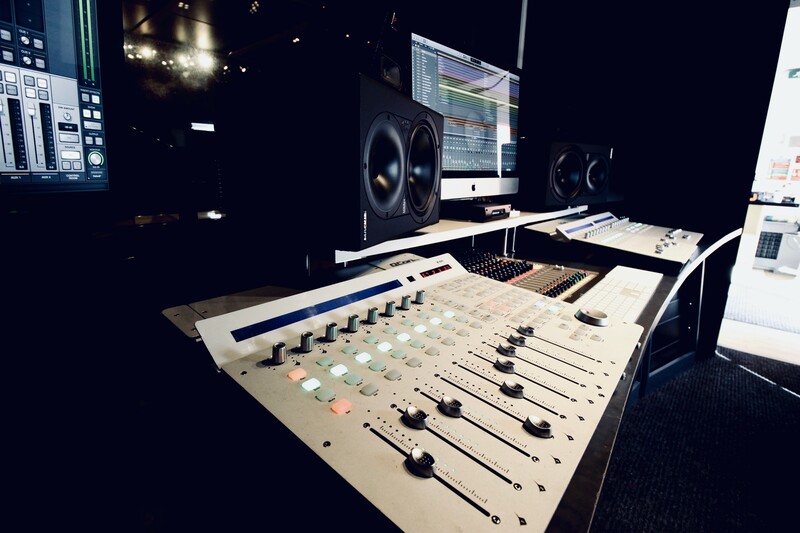 Studio A, four metres wide – which overlooks, and is connected to our Live Room. It’s centred around the Universal Audio hardware (Apollo 8P) and UAD software plugin environment (all of them, actually) which utilises their cutting edge Unison Technology. In addition there’s a UAD Satellite (Octo). All the UAD stuff is over Thunderbolt and the HD in the iMac is an SSD. The controllers are ICON and the analogue summing console is the 20 channel APB Dynasonics mixer (made in the USA, which some say is very much like an API with its legendary Burr-Brown pre’s). Monitoring is Mackie HR824 Mk1’s with a Genelec 7360 Sub. There’s the outstanding DACS Mic Pre‘s (6 of them) plus we’ve got them all hooked up via ADAT direct to the Apollo. 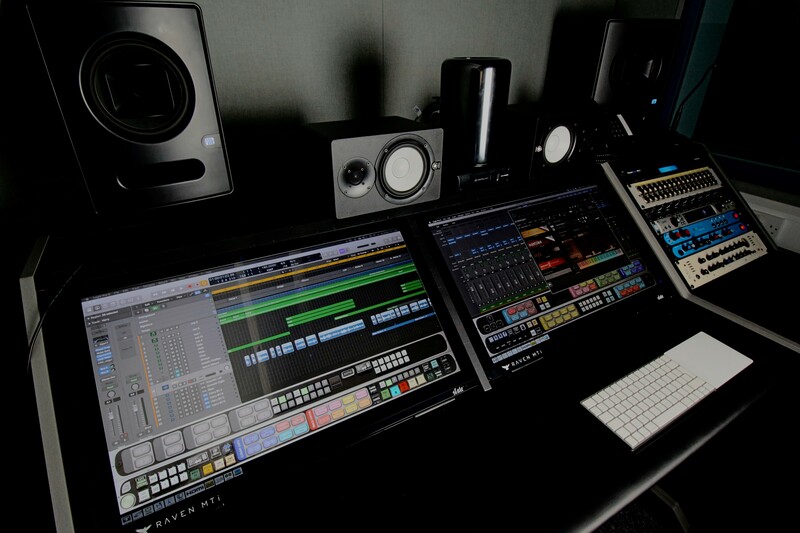 Studio B, our first studio – is upstairs.. It’s also centred around the Universal Audio hardware (Apollo Quad) and UAD software plugin environment (again, the entire suite) but the controllers are the awesome Raven MTi 27″ touchscreen displays. Monitoring is Presonus Sceptre 8 with Yamaha HS8, the modern replacement of the historic NS-10M. There’s the outstanding DACS Headmaster Monitor Controller and we’ve got it all hooked up via ADAT direct to the new Behringer ADAT interface (with MIDAS pres).